I was just having my monthly pampering session at the Number 76 hair salon on yesterday, specifically the Star Hill Gallery's. you may check my previous post Click HERE for other Number 76 branches around KL. OK as mentioned on the tittle, im gonna share with you those two treatments and some verdicts in between. 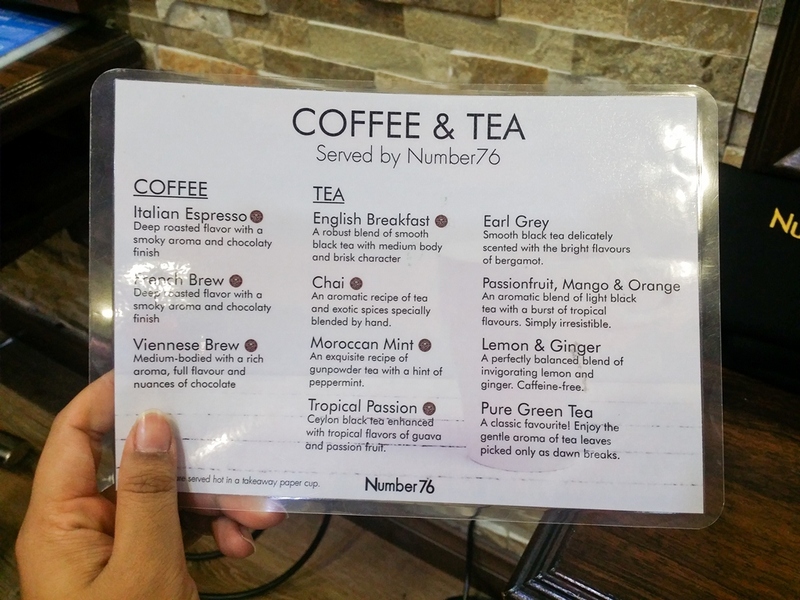 Oh yar but first let me congratulate Number 76 as they are now offering plenty choices of drinks which include COFFEE (haha as im a coffee addict though) and its FREE! 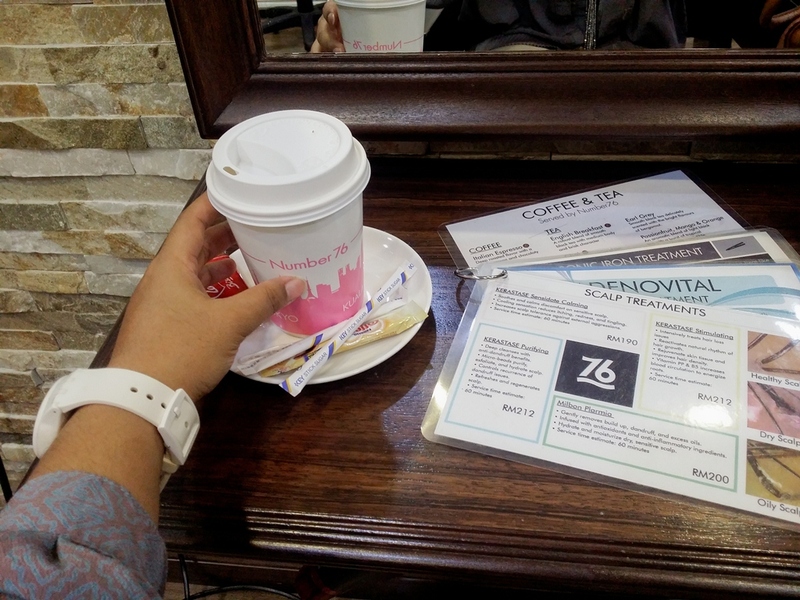 this is one of the reason why Number 76 is my favourite salon besides that they provide a PRIVATE ROOM for us the hijabi, they also giving you a VIP treats. This is the new treatment by the Number 76. hence, Wendy suggested me to give it a try as i admonished to her that my problem is non other than a scalp problem. 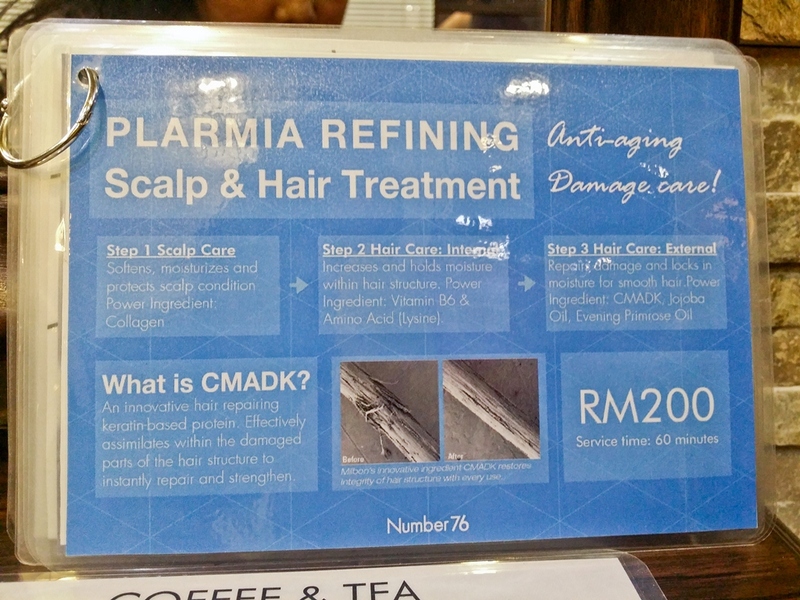 haha so as told, this Plarmia refining is a solution to both Scalp and Hair problem. duration is about 60 minutes not include haircut. Started with shampooing my hair as to wash away all the dirt on my scalp. 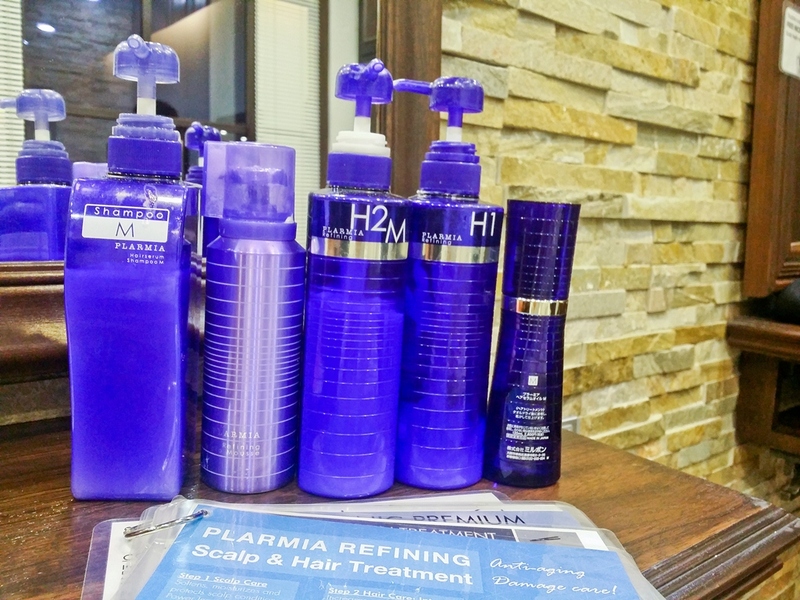 after rinse, she applied the Plarmia Refining Micro Mousse and leave itlike 10 minutes. then, she rinsed again and applied that both Refining H2M and H1 and after a towel dry, she put on the Hairserum Oil M onto my hairline, a very gentle massage and done! yup no rinsing afterwards. OK this treatment is merely for those whos facing hair problem because the main ingredient contains CMADK which is like a 'protein' that help to repair, moisture and strengthen the hair structure. the result is i got a flawless STRAIGHT hair which looks like i was getting a hair rebonding (as claimed by my friend) which actually it was not! Thanks lovely Wendy from Number 76! Step 1 starts from Left to Right! Nah this is my favourite! 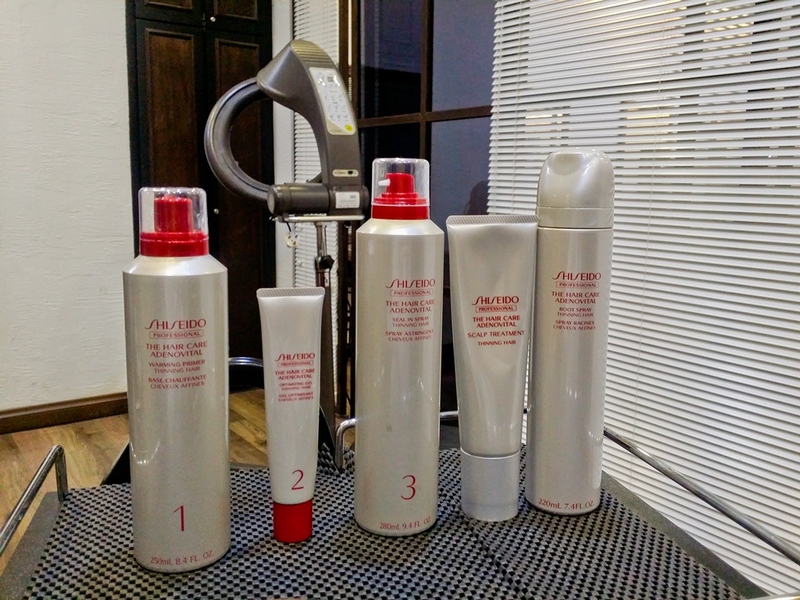 the combo of Scalp and Hair Lost Solution. duration is about 90 minutes and involved twice hair washes! 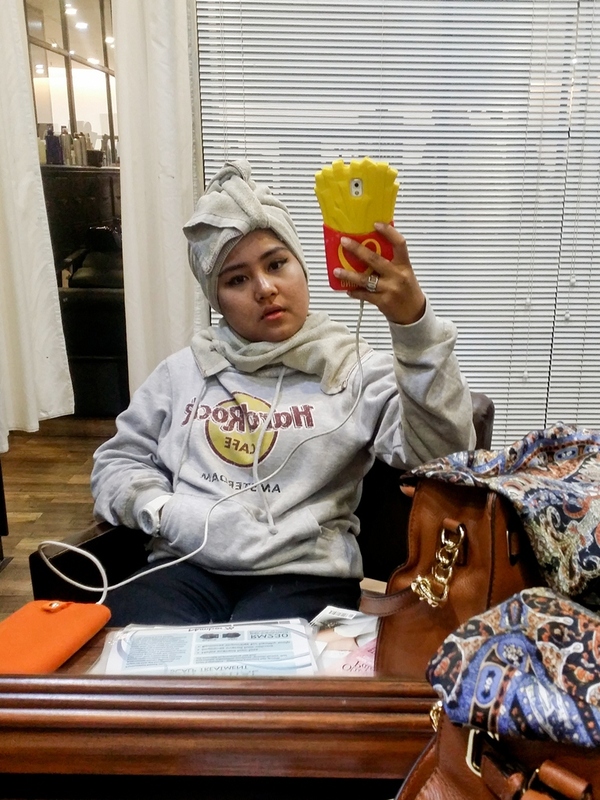 yeah im definitely recommended this treatment to those hijabi (whos wearing head cover all day long) and of course, also to those whos facing hair loss and scalp problem. 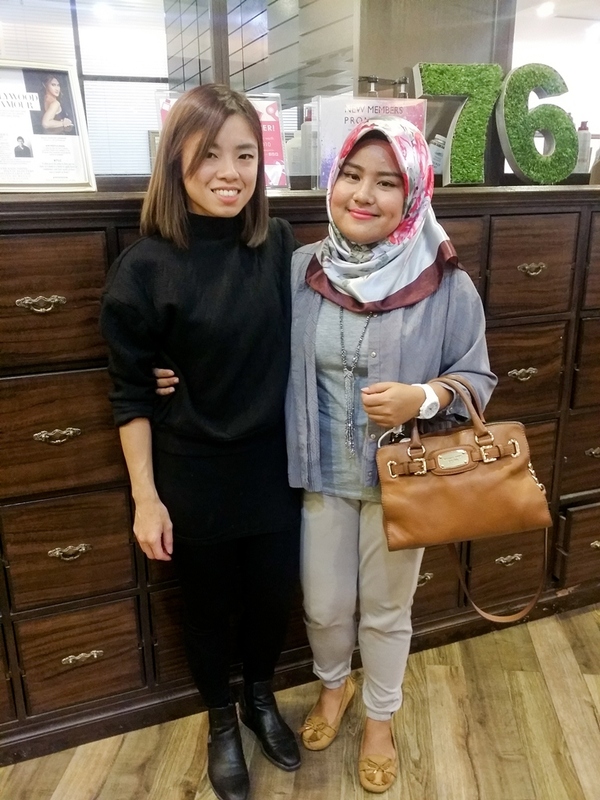 Thanks dear Xuan and Ellen from Number 76! 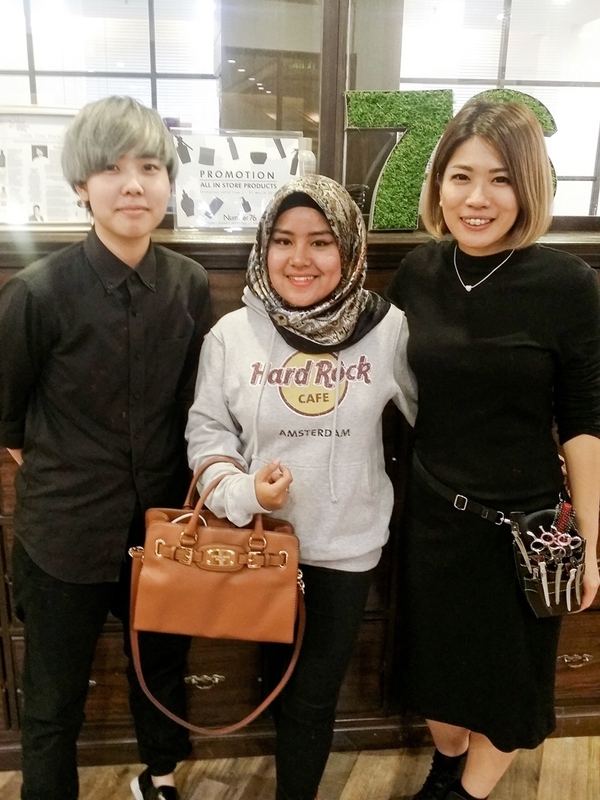 Tudiaaa.. macam yuna pergi saloon dah! 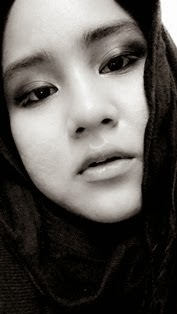 Hehehee..